Letter: When will Trump realize his hateful words have consequences? 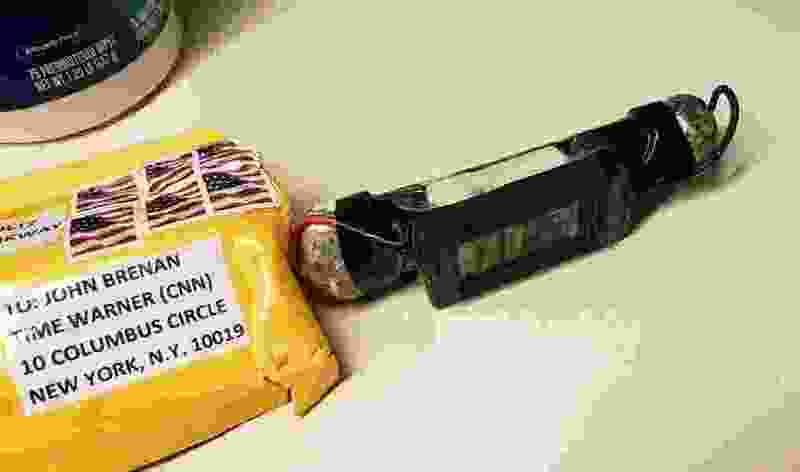 (ABC News | The Associated Press) This image obtained Wednesday, Oct. 24, 2018, and provided by ABC News shows a package addressed to former CIA head John Brennan and an explosive device that was sent to CNN's New York office. The mail-bomb scare widened Thursday as law enforcement officials seized more suspicious packages. Donald Trump and Dr. Frankenstein are both OK with creating a monster but don’t take any responsibility for it or its actions. The bombs mailed to Democrats are a direct result of the hate and intolerance Trump includes in his tweets and speeches. Luckily, none of the bombs detonated. Since when is it OK for a sitting president to call individuals and opponents names? When will Trump realize that words have consequences and his words are always hateful?